Ambius is the world’s largest interior landscaping company. They wanted their 130-strong team in the UK to achieve even higher levels of customer service and asked us to help. We gave a half-day presentation on ‘Legendary Customer Service’ at their annual staff conference and then followed up with three two-day ‘train-the-trainer’ programmes for their managers around the country, to enable them to coach and train their staff themselves. help identify those individuals within the team who have potential for fast-track development. We designed a highly bespoke three-day programme for them, which was delivered twice in Saudia Arabia over a six-month period. The day before the first ‘outing’ the trainer gave a two-hour presentation on supply chain management to all 50 staff, and the day before the second ‘outing’ he ran a one-day refresher course for the first group. The programmes were an outstanding success and the client was delighted. Aylesbury College is a medium-sized further education college. To help support their ‘One College, One Team’ message, they asked us to kick off their annual staff development week with a tailored half-day presentation, delivered to half the 140 staff in the morning and the other half in the afternoon. The audience was a complete mix of academic and support staff. It was a huge success and a marked contrast, they told us, to their previous experiences of using external trainers. Another conference-style presentation, this was a tailored day delivered by Cyrus Cooper (MD of our sister company, Maximum Performance). As usual, he managed to make it a fun, interactive session despite the size and varied backgrounds of the audience (all 45 staff). Having previously delivered a very successful open course for DASA (the Domestic Appliance Service Association), we were invited to make a keynote presentation at the annual conference of The National Organisation of Installation and Service Engineers. One of their members was so impressed that they got us to train all their service partners (see the paragraph about Whirlpool, below). This project was slightly out of the ordinary. Open Text are one of the world’s largest Enterprise Information Management companies. They had 90 customer support staff in the UK, from a variety of backgrounds, whom they wanted to bring up to a uniform level of customer service delivery. They were looking for an interactive, bespoke half-day session, as part of an internal staff conference. To help make it sufficiently interactive we fielded a team of three trainers and they went down a storm. Three weeks later, we repeated the event for them for a similar size audience in their Munich operation, delivered in German – equally successfully – by three of our German trainers. 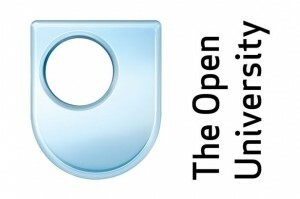 We’ve done a number of customer service programmes for the Open University. This one was a bit different. They’d set up a new department within Student Registration Services to deal mainly with email enquiries from current and prospective students. It’s a complex role for which they’d recruited a team of 35 with no prior experience of either the role or the Open University. Their existing induction programme was five weeks long. We were asked to re-design it as a three-week programme and to then deliver it, using two trainers. The trainers worked with OU staff to re-design and deliver the programme very successfully to a tight deadline. For operational reasons they needed the whole job finished within six weeks of picking up the phone to us. Needless to say, we got the job done to their complete satisfaction. Our Manchester-based trainer/consultant, Melanie Windle, had exactly the sort of background and approach they were looking for and over the course of 18 months she made a huge difference to the organisation, to the complete satisfaction of the project stakeholder. Our idea of a perfect project! The client had a very clear idea of what they wanted and the commitment to see it through quickly and efficiently. They wanted all 290 staff (from the Chief Executive down) to go through our core one-day programme, over a relatively short period of time. Our lead trainer, Jocelyn Hughes, kicked off with a day with the senior management team and then she, supported by two of our other trainers, Val Down and Deborah Herbert, delivered 19 one-day programmes to all staff over a four-week period. The programme was so successful that a few weeks later we were invited back to deliver the same training to the 80 on-site staff of their security contractor, G4S. 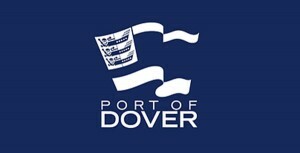 Key features of the programme were that it was tailored to Port of Dover’s behavioural framework and that we captured for them all the output from the brain-storming sessions on what they were already brilliant at and where they felt they could do better. They’re all now hard at work implementing their ideas for improvement. A great result and outstanding value for money. A huge amount of change is happening in the NHS. One of those changes is the setting up 20 Commissioning Support Services. The West Yorkshire Commissioning Support Service (WYCSS) covers 10 clinical commissioning groups (CCGs) and is having to shift its management and staff focus from being commissioners to providing a commissioning support service. This challenge encompasses many aspects, including people starting to reframe CCGs as ‘customers’ and starting to feel they are part of a business – one which can succeed or fail – depending on how good a job it does at meeting its customers’ needs. Back in early 2012, many members of the teams coming together to form this new organisation felt disenfranchised and in the dark about what was happening. They felt that this was not what they joined the NHS to do and that the values they had signed up to would be lost in the pursuit of profit. The senior management team wanted to engage their potential future team of over 500 people and start to shift their paradigm and mindset. The brief to us was for consultancy skills training and we won that piece of work through a competitive tender process. At the same time, however, we felt that the brief was only addressing part of the problem. We therefore submitted an alternative proposal for an Open Space event as ‘something very different’. It struck a chord and we got the go-ahead for two open space forums for potential future employees who wanted to contribute and really cared about making WYCSS a success. These two events provided the chance for these like-minded people to meet and discuss what needed to be done to make this happen. Open Space is a meeting technology that is well researched. It has been used worldwide by multinational corporations and the not-for-profit sector alike. It is one way of enabling all kinds of people – in any kind of organisation – to co-create meetings and events that tap into their full potential and deliver peoples’ best work by giving participants the space to set the agenda and discuss what matters to them. The common result is powerful alignment of what is already happening with the strategic intent of the organisation and a strengthening of: planning and action; learning and doing; passion and responsibility, participation and performance. For more information about Open Space, read more. Preparation is a vital element of Open Space. Venue is critical; as is the framing of the right question or theme to be distributed to participants in advance. We supported the WYCSS senior management team to create the right question. We advised on the ideal attributes of the Open Space venue and visited it with the management team. We also advised on all aspects of the event experience, including: wording in the invitation and how it should be disseminated and sold into potential participants; catering arrangements to fit with Open Space and to put people at ease; venue set up and provision of a set of ‘inspiration’ slide sets and upbeat music choices to be played in the venue as people arrived to create the right atmosphere. Two days were held, in May 2012, attended by around 350 people in total. The sessions began with an introduction, led by an Open Space Facilitator who set out the process and the rules of engagement. This was then followed by the Interim Managing Director who spoke from the heart and shared her vision for the future. Then the facilitators encouraged participants to volunteer to host ‘conversations’ over the rest of the day – 14 parallel sessions. Over the course of one hour, people suggested 46 ‘conversations’ and those who proposed them agreed to host them. The facilitators ensured these all fitted and aligned to create a full day’s agenda so that those hosting several conversations could do so easily; and similar questions could be answered together in one group if participants agreed to that. The participants then set their own agenda; decided what conversations they wanted to join and became a self-managing system for the rest of the day, with open space facilitators floating and supporting groups as needed. The self-nominated ‘hosts’ recorded their groups’ thoughts on flip charts and identified the 3 most important findings or recommendations to emerge from that conversation. As soon as groups completed their conversations and work, their flipchart sheets were passed to a team of ‘scribes’ who transcribed everything on the flip charts so that by the end of the event everything written on the flip charts was captured. After the event, the open space facilitators tidied up the 46 page report – being mindful to keep peoples’ exact words or meanings and at the same time ensuring that it all fitted together from a style perspective and could be contextualised by someone reading it with fresh eyes who had not attended the event. This report was then circulated, within a week, to everyone who attended. The Open Space events ended with everyone gathering back together in the late afternoon and sharing what they had heard, felt, thought and seen during the day. The facilitators led this session and shared their own insights; as did the senior manager who sponsored the event. The senior management team who commissioned the work were delighted with the output and intend to apply other techniques that the facilitator team bring to the table in the future; as well as using Open Space again. West Yorkshire Commissioning Support Service. Georgina, a social entrepreneur whose business helps develop and embed person-centred management approaches within health and beyond. Georgina is working closely with a number of clinical commissioning groups (CCGs) to develop the innovative evidence-based ‘experience-led commissioning’ management model. Her work has won national recognition as best commissioning management practice. Georgina’s background is in commissioning policy, sales, marketing and communications. She has over twenty years’ experience of influencing commissioners and policy thinking – at both local and national level. Georgina sits on the NHS Alliance Executive and co-hosts its PPI Network. Dee , a social entrepreneur who has worked at the cutting edge of social change, business development and major social intervention and implementation for the past 25 years across public, private and social sectors at senior levels. She understands how to grow successful social businesses, navigate barriers to change and achieve stakeholder buy-in. Dee is an expert in running Open Space Technology (OST) events. Dee advises NHS Global and a number of national think tanks. She advised the WHO implementing mental health service redesign of services across Europe. This was a slightly unusual set-up, in that our client was initiating the training but the staff being trained work for other companies. Whirlpool, of course, make home appliances which are then installed and serviced by their ‘service partners’, a network of companies around the UK that do the installation and servicing on Whirlpool’s behalf and to standards set by Whirlpool. There was a need to ensure that service standards were consistent across all the companies, in all the regions. That’s where we came in. They also wanted to get some of the service engineers up-selling, so we tailored the core programme to Whirlpool’s specific requirements and also prepared additional materials (including engineers’ visits checklists and ‘product planners’) to help with the up-selling. Our biggest project to date but, despite its scale, a surprisingly straightforward one for us. UKPN had a customer service programme designed and ready to roll but, not surprisingly with that number of staff, they need support in actually delivering it. In the end, we delivered the whole programme for them. They set the criteria for trainer selection, ran train-the-trainer sessions and co-ordinated a shadowing and assessment process. We supplied a team of 15 trainers and took care of the scheduling. Sessions were generally run in three different regions simultaneously, sometimes with short-notice rescheduling because of the nature of the business (most of the staff being trained were field engineers who had to be able to respond quickly to power supply problems caused by bad weather, flooding, etc). We also trained some of UKPN’s contractors. In all, we delivered some 300 days’ training over the course of a year. More than 90% of the participants said ‘the training would have a positive impact in their ability to provide great customer service’ and UKPN were very happy with the results. 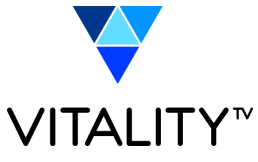 Vitality TV – brilliant customer service without the customers!